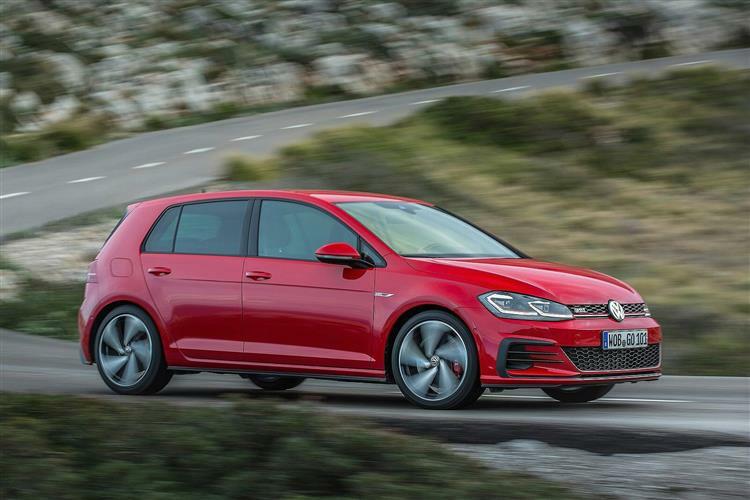 The Volkswagen Golf GTI has upped its game in the face of increasing competition and offers up to 245PS, plus there are smarter looks, a classier cabin and improved media connectivity. Though little of the original GTI DNA remains, it's a very complete hot hatch indeed. 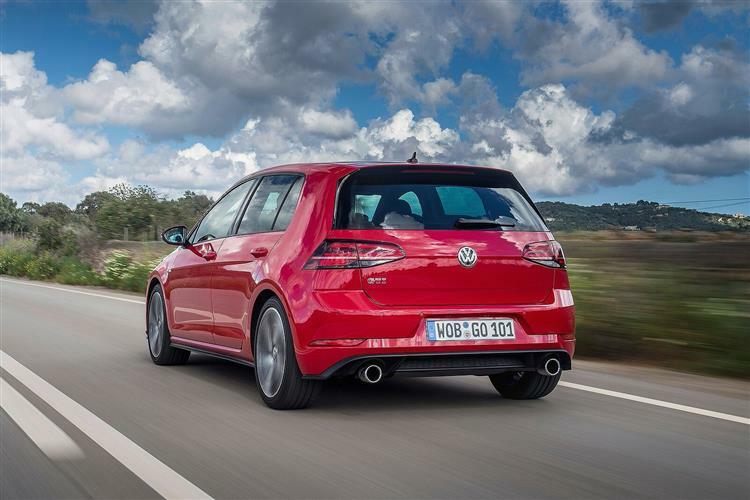 The improved seventh-generation Volkswagen Golf GTI gets more power. Jonathan Crouch takes a look. Before Volkswagen dreamed up the Golf GTI, there was no such thing as a 'hot hatchback'. Now the phrase has entered everyday parlance and virtually any manufacturer that has a hatchback also has a hot one - or a warm one at the very least. It was 1976 when the original version of this car was born and since then, through seven generations and with the help of countless imitators, it has brought performance, handling and fun to the masses on an unprecedented scale. 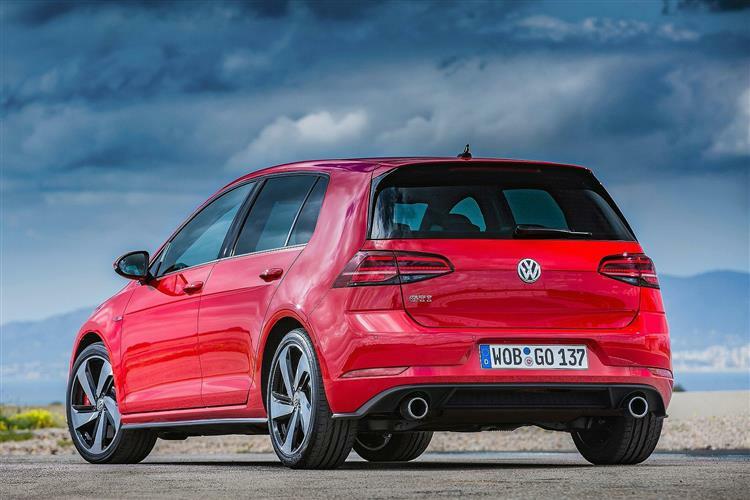 The current Golf GTI is the mark seven and by rights, it should be the best yet. But does that mean 'best of breed' or 'best in class'? This car, after all, may define the hot hatch genre but it's rarely been recognised as the most accomplished car in its sector. Hence Volkswagen's efforts to improve the current version, which now gets smarter looks and more powerful engines. Let's check it out. The big news for enthusiasts is that this GTI continues to be available in two different power outputs. Before, the standard car offered 220PS and there was a 230PS GTI Performance model. Now, Volkswagen has upped these outputs, so the normal version gets 230PS and the GTI Performance model features 245PS. Expect that to be enough to get you from rest to 62mph in only a fraction over 6s. As before, the GTI Performance variant also gets bigger brakes and an electronically controlled mechanical front axle differential lock for improved cornering. Both cars get a 'progressive steering' system which means low effort at parking speeds but a smooth, natural feel when moving from small steering angles to larger ones at speed, something that has often escaped designers of modern electrically-assisted steering systems. A six-speed gearbox is fitted as standard to both cars, with the option of a six-gear DSG twin-clutch transmission for those who don't fancy a clutch pedal. If you like the GTI look but want to optimise frugality, a GTD diesel variant using a 2.0 TDI 184PS powerplant continues to be offered. The first thing you'll notice about this revised Golf GTI is probably its slightly sleeker front end. There are full-LED headlamps and the air intakes at either corner of the front bumper have been restyled too. Jewel-like LED tail lamps are now standard too, with smart animated flowing indicators too. Otherwise, things are much as before - which means that there's a choice between three or five-door hatch bodystyles, both of which sit on the Volkswagen Group's light, stiff and very sophisticated MQB chassis. There's no doubt that this is a seriously good looking car these days. Some of the detailing is quite exquisite. Red, black and white production paint finishes hark back to the Eighties heyday of the Golf GTI, while the big roof spoiler is neatly integrated to the roof line and door pillars. The flat-bottomed steering wheel is a delight, with a circular hub and a deep dish with audio, telephone and cruise control buttons mounted on two of its three spokes. The dash is finished in an interesting capping which at first looks a little like carbon fibre but is in fact a technical finish that manages to escape the essential cheesiness of fake carbon. There's also a set of drilled pedals and a big alloy foot rest. The GTI is offered in three and five door guises. Prices start at around £28,000 and there's a premium of around £700 if you want the five-door bodystyle and it's around £1,500 more if you want DSG auto transmission. Pay a further £1,000 to get the extra 15PS promised by the 'GT Perfrmance Pack' version and you'd have to wonder why someone would pay nearly £32,000 for a Golf R, though that car does offer 310PS and 4WD. All GTI variants come with air-conditioning, Driver Alert system, seven airbags, including a driver's knee bag, five three-point seat belts, ABS with ESP, XDS electronic differential lock and ISOFIX preparation for two rear child seats. A key change with this revised model lies with media connectivity. Previously, GTI customers had the choice of 6.5 or 8-inch screens, depending on the options chosen. Now, these have been replaced by more sophisticated 8 and 9.2-inch screens. As you'd expect, the biggest 'Discover Pro' monitor is the more sophisticated of the bunch, this being the first Volkswagen infotainment system to offer both touch and voice-command operation, with gesture control in addition to proximity sensors. Your dealer will also want to tell you about the clever 'Media Control' app that can be used if your Golf's infotainment set-up incorporates a wi-fi hotspot. Passengers simply connect in their 'phones or tablets via the app, then the entertainment system can be operated from anywhere in the car. As you'd expect, there's full 'Apple CarPlay' and 'Android Auto' compatibility so you can link in your smartphone and use your favourite apps in-car. And we like the new 'Security & Service' package that can automatically alert the emergency services in the event of a breakdown or an accident, book servicing and even advise you if the car is driven beyond a certain area, should you lend it out. All versions of the GTI are equipped with Stop/Start as standard and are built around the relatively lightweight MQB chassis. The upshot of this, good aerodynamics and a host of other detail improvements is a fuel consumption figure of close to 50mpg for the 230PS model, which is much better than older GTIs used to manage. Emissions are also very well controlled, this model emitting just 148g/km. Choosing the six-speed DSG twin-clutch gearbox doesn't affect fuel consumption. This current Volkswagen Golf GTI is a different car to the original. It has grown up, become more refined, smarter and, yes, better in virtually every regard. It doesn't need to constantly remind its customers of its roots. Time has moved on and it is what it is. And what it is is the go-to car if you want a quality hot hatch. 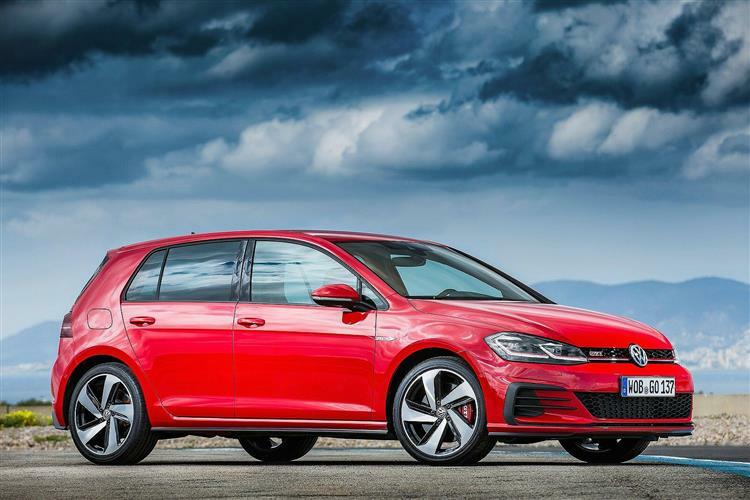 Yes, it now campaigns in the upper echelons pricewise but the value proposition nevertheless looks good, with this improved Mk 7 model promising some really strong residual values that take the edge off the cost of ownership. Volkswagen hasn't forgotten about driving enjoyment as the Golf enters middle age. 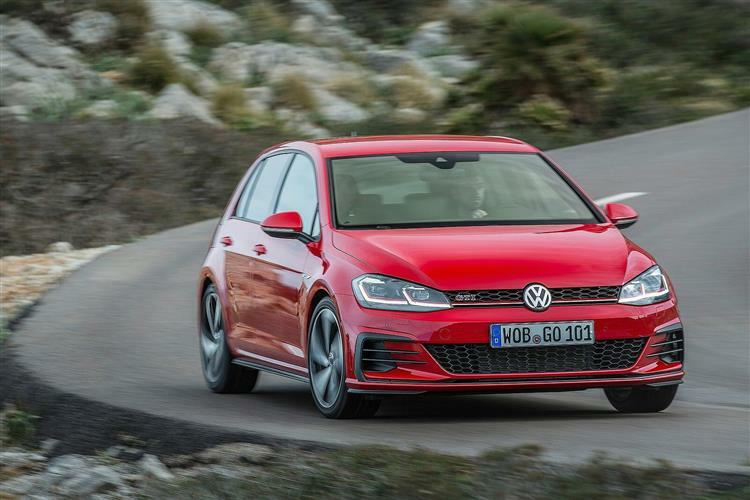 This one's still got the chops to entertain with its clever front axle diff lock signalling that this isn't just for people who merely want the most expensive Golf. There are some formidable vehicles in the hot hatch division, but the Golf GTI almost campaigns in its own sub niche. It's all about authenticity, something true hot hatch buyers don't need unsubtle history lessons to understand.